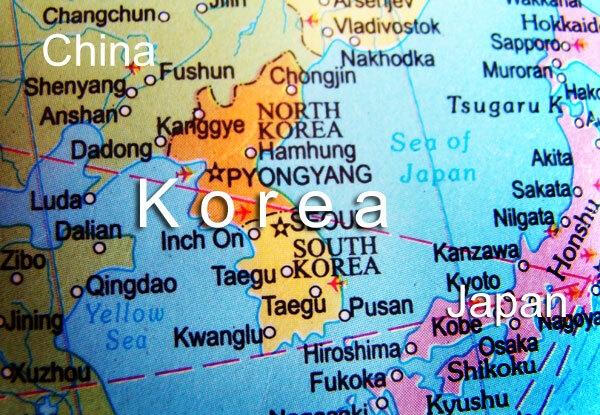 Korea | North Korea | South Korea | Flag Korea | Political Map Korea | Globe Korea | Where is Korea? Korea as a tourist destination has gained popularity in the recent past. Most of the international tourists coming to Korea arrive from neighbouring countries like Hong Kong, Taiwan, Japan and China. 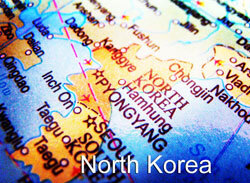 Korea is separated into two different sovereign states, namely, South Korea and North Korea. Located in East Asia, it is a fascinating country and exciting at times, especially in case of South Korea, which is tourism wise more popular. Most visitors in Korea from foreign countries visit Seoul, the capital and the hub of every excitement in South Korea. Besides, other interesting attractions include Gyeongju, the remarkable city, Jeju Island, Seorak-san national park and a range of other attractions. The conventional full name of North Korea is Democratic People's Republic of Korea, which is a communist state with single party rule. The capital of North Korea is Pyongyang and it has 9 provinces and 2 municipalities in total. South Korea, on the other hand, is the republic of Korea and it functions in a republic form of government with Seoul as the capital. It also has 9 provinces and 7 metropolitan cities. 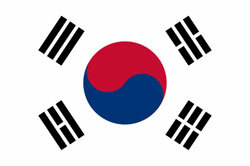 Korea got its independence from Japan on 15 August 1945. Both North and South Korea are situated in Eastern Asia. 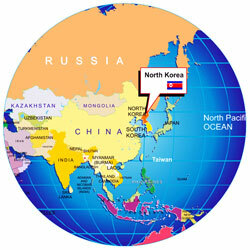 North Korea is placed towards the northern half of the Korean Peninsula. The Korea Bay and the Sea of Japan borders North Korea and it is lying between China and South Korea. 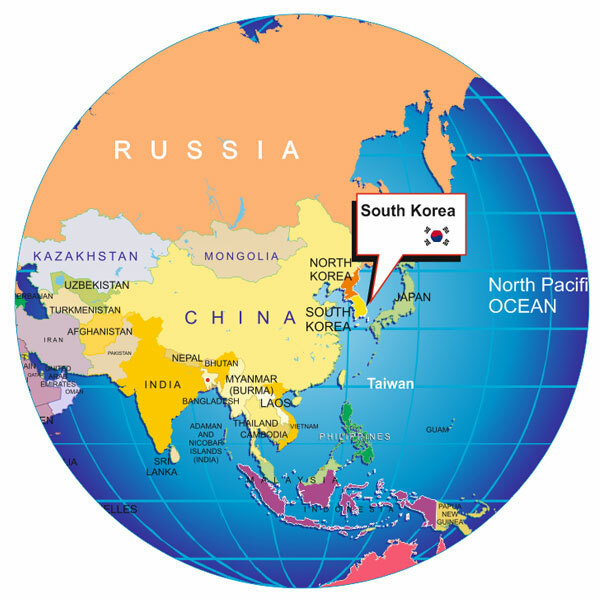 South Korea is located in the southern half of the Korean Peninsula and it is surrounded by the Sea of Japan and the Yellow Sea. South Korea is located at 37 00 N, 127 30 E, whereas in case of North Korea it is 40 00 N, 127 00 E.
Total area of North Korea is 120,538 sq km with 2495 km coastline. The region enjoys a temperate climate with rainfall concentrated during summer. In case of South Korea, the total area is 99, 7210 sq km with 2413 km coastline and the state also experiences temperate climate but the level of rainfall is heavier in summer than in winter. Over the years, Korea has seen widespread popularity in terms of tourism, especially in South Korea. Though a large deal of visitors in Korea comprises of domestic tourists, but the number of international tourists has also gained momentum in the recent years. South Korea is described as a progressive nation, especially the city of Seoul. If you want to see the culture of Korea, the old city of Gyeongju with its temples, tombs and pagodas is the best place to be in. In addition, the port town of Busan is also worth a visit. Besides, the South Korean countryside with scenic beauty is great to visit. Korean countryside is complete with beautiful mountains, rice fields, lovely fishing villages and huge opportunity of mountaineering and climbing. Other attractions of South Korean tourism include, Seoraksan National Park, Jejudo, Dadohae Haesang National Marine Park, Gongju & Buyeo, DMZ, and so on. 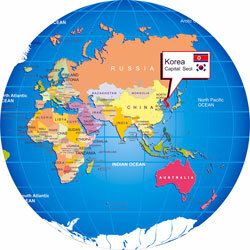 Korea, both North and South is mostly populated by ethnic Korean people speaking Korean language. South Korea, however, has a small fraction of Chinese population residing in the cities. A small number of Chinese and Japanese people are also residing in North Korea. Koreans, in general, are well mannered and gives a lot of importance to family life. Greeting in North Korea is followed strictly with a bow, whereas in South Korea, the bowing is mostly followed by a hand shake. The economy of North Korea is centrally direct and least open economy. The state often faces economic problems and instabilities. Moreover, the country remains as one of the less developed countries in the world. North Korea exports minerals, textile, agricultural products and fish as well as metallurgy to countries like China, South Korea and Bangladesh. South Korea is a developed country with high income and a developed market. The primary reason of the growing economy of South Korea is the adoption of the export oriented economic strategy. In fact, South Korea was the 7th largest exported in the world in 2010. The various exports of the country include telecom equipments, vehicles, steel, semiconductors, computers, petrochemicals and ships amongst others. The partnering countries of South Korea for exports are China, US, and Japan.